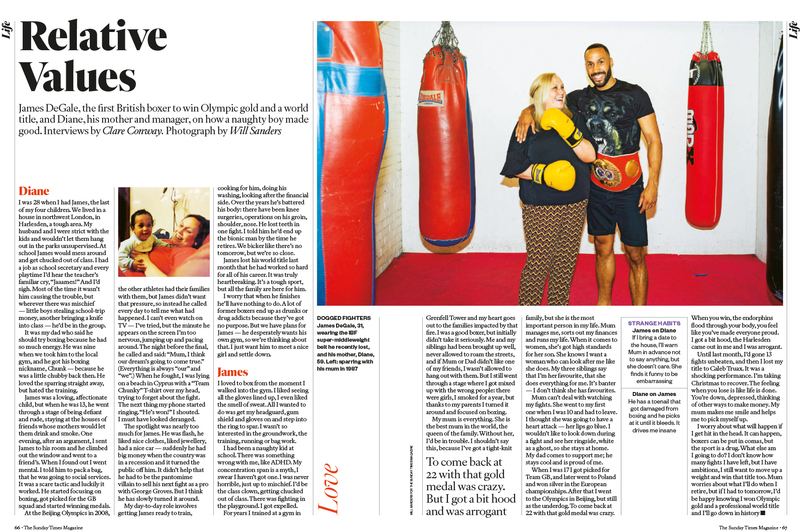 Maynard Communications is proud to have secured James and his mother Diane as the subjects in the highly-acclaimed Sunday Times Magazine’s Relative Values column in the 7 January 2018 edition. For over 30 years, Relative Values has become one of the longest-running, most popular columns in the newspaper’s history, featuring prime ministers, world statesmen, sporting heroes, writers, film-stars, scientists, musicians, comedians and royalty. 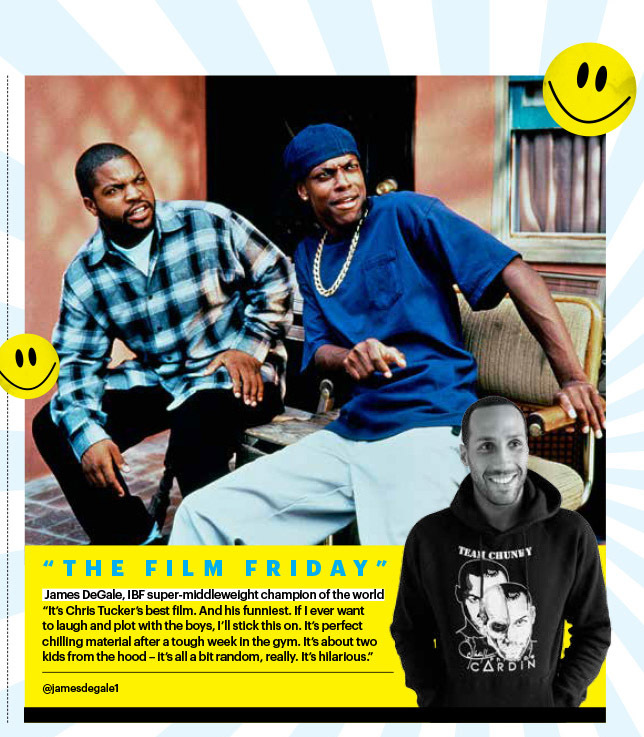 We were delighted to get James featured in the “24 Hours With” column of Fabulous Magazine – the UK’s most read women’s magazine with 2.2m readers and a circulation of 1.2m – in the 26 November 2017 edition. 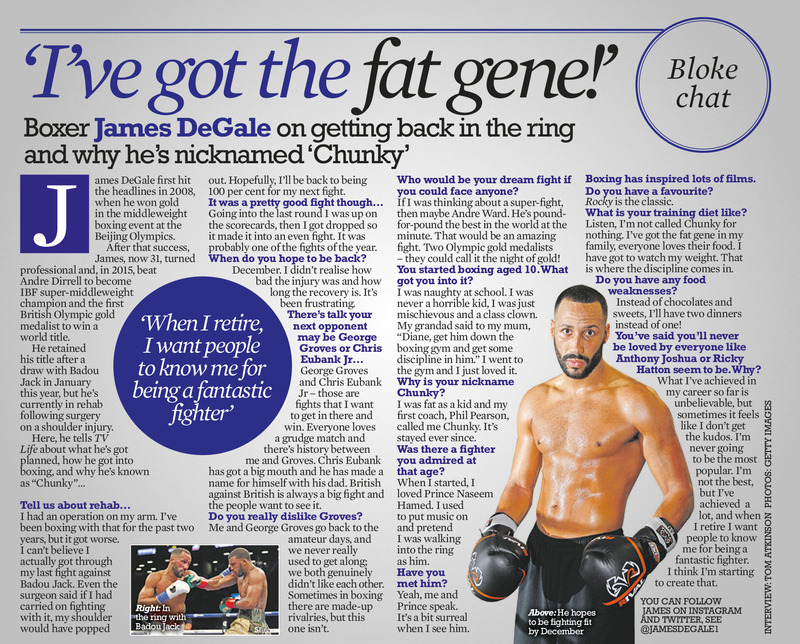 Maynard Communications secured James as the subject in the highly sought-after Blokes Chat column in the Daily Star Sunday’s TV Life Magazine. 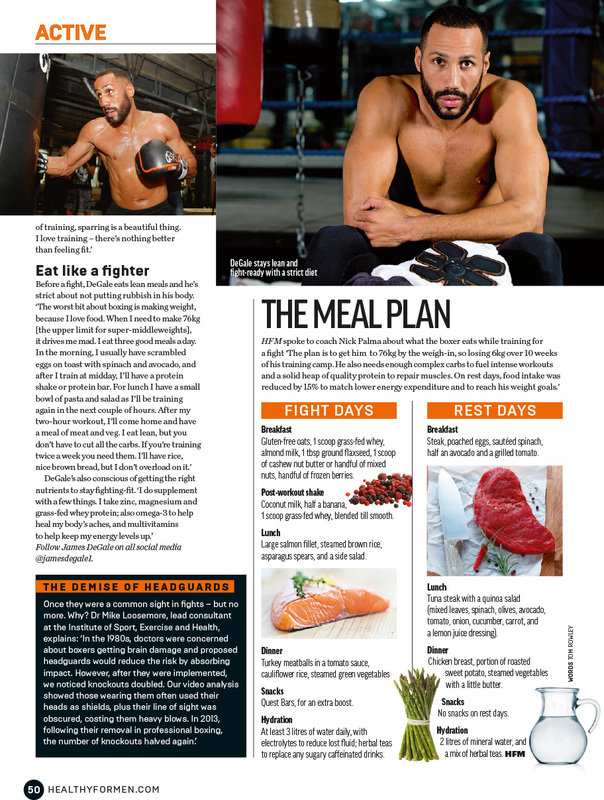 We delivered James a fantastic four-page feature and photo spread in the June 2017 edition of Healthy For Men – one of the UK’s leading health and fitness publications for men.  Through Maynard Communications, James has featured regularly in the free, upmarket, weekly men’s lifestyle title with an ABC of over 500,000, more recently in the feature “Tell Us About Your Happy Place”. We arranged for James a Facebook Live Training Session for Men’s Health and Q&A on one of the UK’s most popular men’s health and fitness titles Men’s Health with over 1m likes and 1m followers. 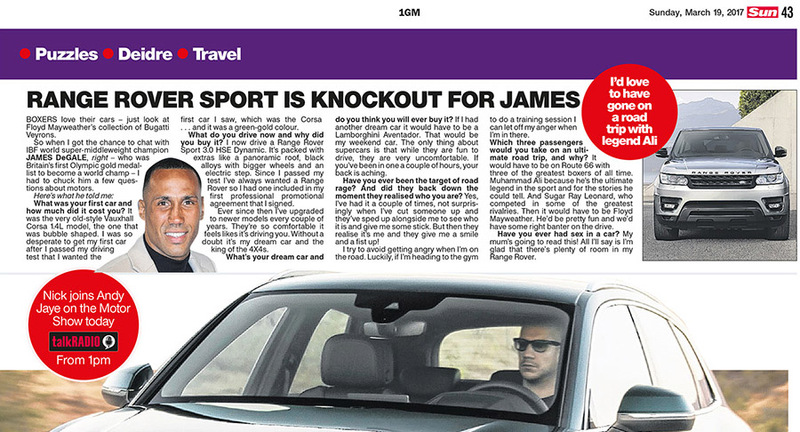 James’ love of Range Rovers was perfect for him to talk about in The Sun Motors column. We arranged for James to be featured in the BBC’s Get Inspired campaign to encourage and motivate people to get involved in sport. 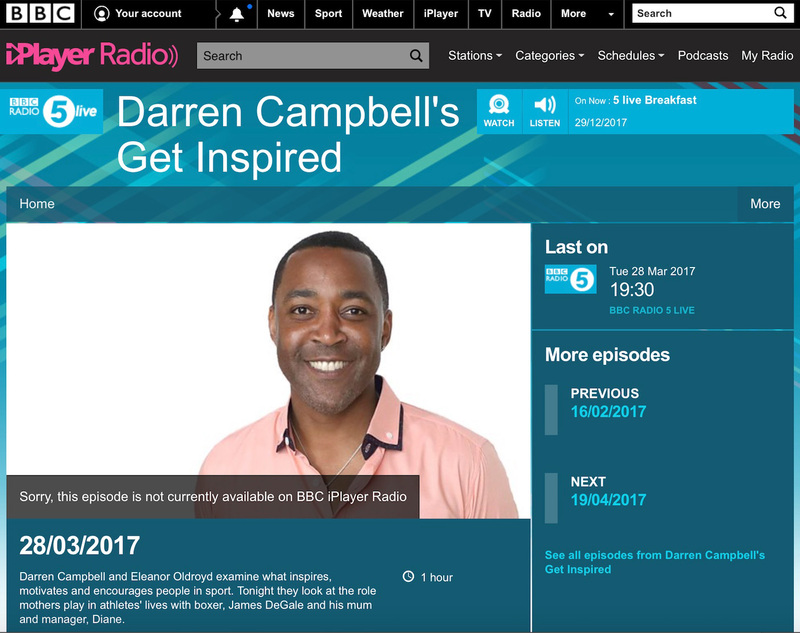 James was interviewed by former Olympic Champion Darren Campbell and two pieces were produced for BBC Sport Online and BBC Radio 5 Live, the show looked at “where it all began” for James and focused on the role of parents in sport, because Diane was so pivotal to his success.